The preeminent magic card from the inaugural Alpha production. 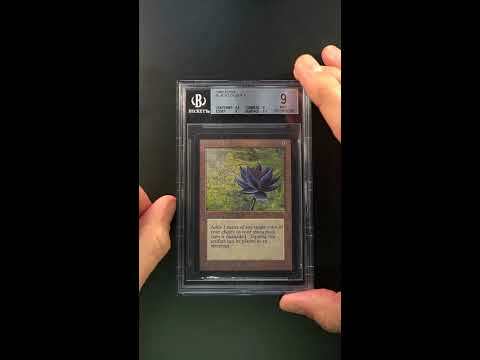 Since being designed by Christopher Rush in the early 90s, the Black Lotus has risen to a significant status as being the most prominent and coveted magic card to ever be created. 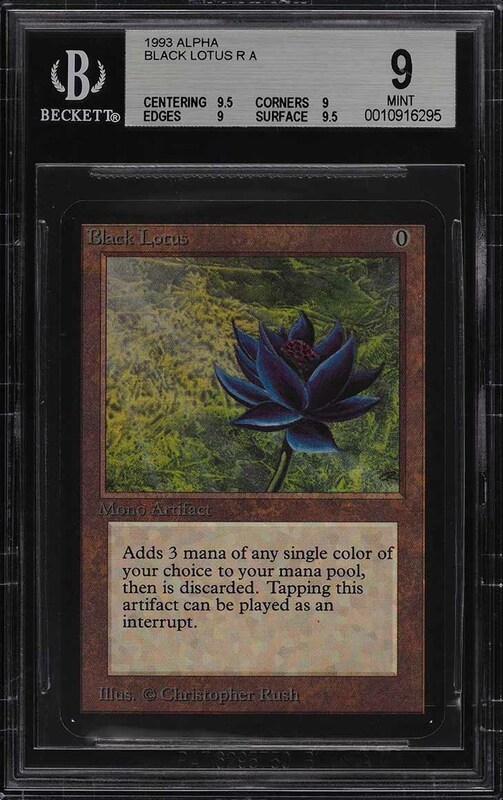 As the MTG market soars, the Black Lotus remains atop the pinnacle and continues to bring record setting prices. Beyond its natural beauty, the Black Lotus is a tremendously powerful and important card to own from the Alpha set. Former professional player Zvi Mowshowitz has declared the Black Lotus as the best artifact of all-time and makes every deck simply better with this card in it. 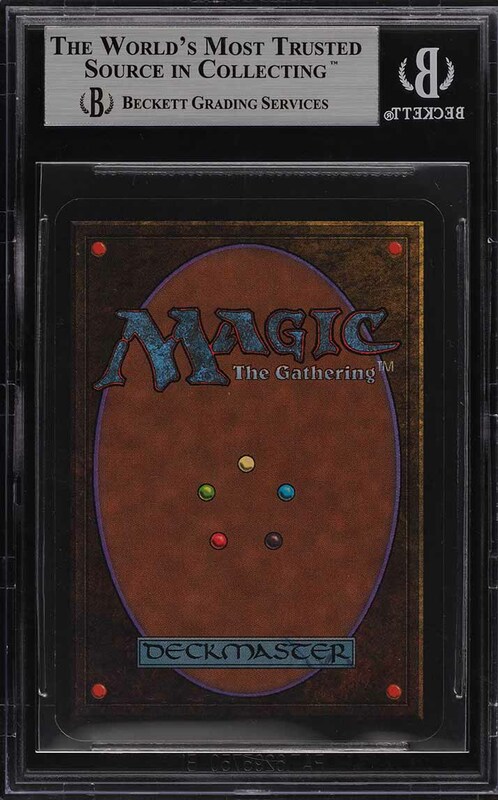 Due to its immense power, this card has been banned/restricted in all formats and is part of the coveted 'Power Nine'. How does one not instantly fall in love with this card? With its mesmerizing color, majestic surfaces and impeccable print, this card simply outshines most other MINT copies and is just a whisker away from the illustrious BGS 9.5 assessment. Exhibits near perfect centering with exceptionally clean borders and harshly assessed edges. Shows high-gloss with precise registration and thick card stock. Far too rare to ever satisfy the demand with a print run of just 1,100 of each rare card being produced. As the trading card and MTG market's continue to mature, it'll be cards like this that will forever represent a world-class investment commodity. A fine art equivalent which is sure to yield a tremendous return in the coming years. Comes with PWCC's highest recommendation. Part of a magnificent run of high-grade Magic The Gathering examples on the auction block this month. One of nearly 15,000 cards, lots, and sets up for bid in our 4th Auction of 2019. Click on the link above to view the other PWCC auction lots. The PWCC Vault is now live! Open a PWCC Vault account and receive a custom Vault shipping address. Purchases shipped to the Vault receive free shipping and reflect Oregon's 0% sales tax rate.